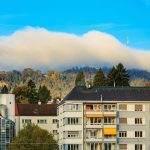 BERN More and more people are rushing to use the second pillar of their pension plan to purchase a primary residence in the face of high prices and limited housing stock. While this may give a boost to the economy, especially the property market, not everyone is happy with the trend. There are three pillars to the Swiss social security system. The first is the basic mandatory insurance for all Swiss residents; the second is an occupational pension plan based on employee and employer contributions; and the third is a private investment option. When the second pillar is combined with the first pillar, a retired person could expect to receive about 60% of their final salary to help maintain their existing standard of living. 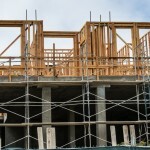 With interest rates low, some banks are limiting the amount of the second pillar that may be used to purchase property or towards paying down a mortgage. The Cantonal Bank of Bern reported to Le Matin that it no longer considers money from the second pillar to be “real equity”. Other banks may be concerned that real estate is no longer the safe investment it once was and are warning clients not to withdraw funds from the second pillar but to use it only as collateral. The Swiss Federal Council has followed the recommendations made by the Swiss Banking Association (SBA) regarding self-regulation measures implemented by the banks. This means that property buyers cannot use their second pillar to fund the entire equity amount when purchasing a home. At least 10% of the funds must now come from another source or the third pillar.Politicians on the left fear that using the second pillar to buy the primary residence before retirement may result in people using up their pension without taking steps to restore it later. On the other hand, politicians on the right (who are in the majority) are firmly against any ban on the use of the second pillar to finance home purchases.Meanwhile, property prices remain high in Lausanne, and Geneva continues to face a serious housing shortage. The Cantonal Office of Statistics (OCSTAT) reported that 610 units were standing empty in Geneva in June this year, compared to 268 in 2013. OCSTAT said this higher number is most likely due to a lack of renovation of housing constructed before 1971. 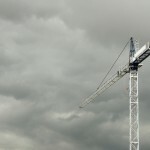 All together, the cantons of Fribourg, Vaud and Geneva face a shortage of 2,500 dwellings for the next 12 months.The Federal Office for Migration (FOM) reported that an additional 40,000 immigrants arrived in Switzerland in the first half of 2014, during a time when construction permits dropped by 10%. On the other hand, there is an excess of newly built homes in German-speaking central Switzerland, Appenzell and around Chur.